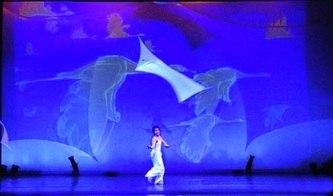 GuildWorks has been variously praised as “beauty in the air,” a “wondrous theatrical dance of flight,” “cirque of the air” and “magical flying sculpture”. 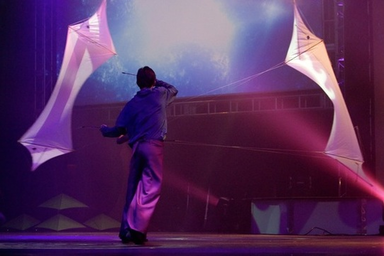 GuildWorks pioneered the development of indoor kite flying performance and indoor "Zero Wind" kite design and remains the world leader in this technology and performance art form. The GuildWorks Performers are an international team of master fliers, dancers and aerialists. 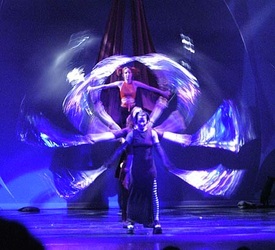 They are available for choreographed and atmospheric, 'Zero Wind' performances in theaters, convention centers, halls and ballrooms and outside in all wind conditions, spaces and event types. Our performances capture the Elements of Flight with indoor kites, wind props, aerial dance, and suspension art with music, lighting, costumes and dance. 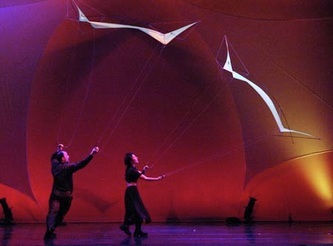 To see a kite effortlessly floating around the room above an audience creates a visual spectacle that can open people to new ways of thinking and lead to excitement and exploration outside the box. 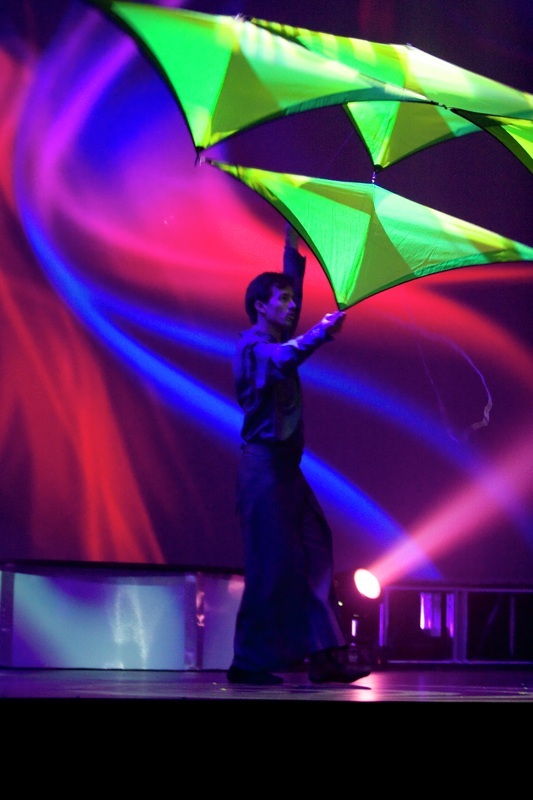 Inspire the Imagination to Soar"
﻿GuildWorks presents dynamic performances to suit any event, from awe-inspired introductions to fully integrated long form performances, or perhaps simply ongoing fly abouts throughout a property. 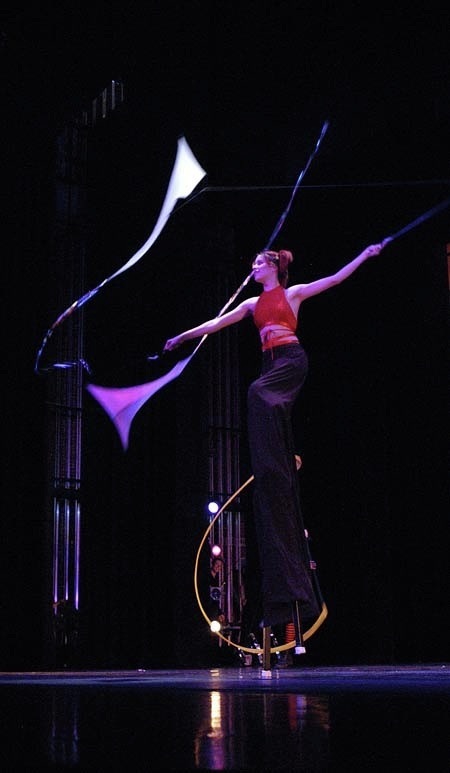 GuildWorks has performed at the conferences and parties of Fortune 500 companies, large music festivals, prestigious dance festivals, and city, community and educational events. 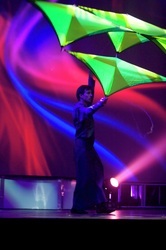 "Art of the Air" promotional video showcasing indoor kite performance kites, produced by GuildWorks ~ Art of the Air. 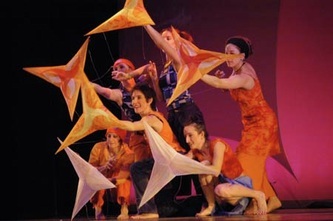 "Carnivale 25", a choreographed aerial arts & kite performance produced by Talmadge Powell Creative one of our favorite clients, featuring GuildWorks kites, aerialists, and kite performers.